Factory resetting an iPhone can be a useful way to clear any unnecessary data or if you’re selling the iPhone, it ensures that nobody gets access to your personal data. However, with consideration to the fact that most people use iTunes to factory reset their iPhone, we are constantly being asked how to reset iPhone without computer. Can I Reset/Restore iPhone without PC? Yes, you can factory reset iPhone without PC. Even iOS 12 is supported. But NO, you aren’t able to restore your iPhone without PC. A reset will completely wipe your iPhone and will take it back to its factory settings and your personal data is gone forever. A restore, on the other hand, not only brings iPhone backup to default settings, but also automatically updates the iOS to the latest version. A restore must be done using iTunes. While this is the best way to factory reset iPhone without PC, you will lose all of your personal data too. If you’d like, take an iCloud backup before proceeding. Open the “Settings” app on iPhone and go to “General > Reset”. Tap on “Erase All Content and Settings” and enter your passcode. Tap on the “Erase iPhone” confirmation which appears. Then just wait for it to finish. The resetting time depends on the your iPhone storage. If for whatever reason, you do care about your personal data being kept or you are selling your iPhone, you should consider a full factory reset. Of course, you want to make sure that your data can’t be recovered and to ensure this, use iMyFone Umate Pro iPhone Data Eraser Win/Mac. Unlike a normal reset just hidden all the data instead of removing them from iPhone drive, it’s Erase All Data feature gives your iPhone a full reset for privacy protection. Of course, you can permanently reset some specific data selectively if you want. Umate Pro is recommended to be the great alternative to factory reset by lots of professional software review media, such as getintopc.com, MacWorld, APPKED, pocket-lint and 50+ more. Step 1. Download, install, and launch iMyFone Umate Pro on your computer. Connect your iPhone to computer. Step 2. Choose the erasing mode from the left-side bar, like Erase Private Data. It will scan your iPhone deeply. 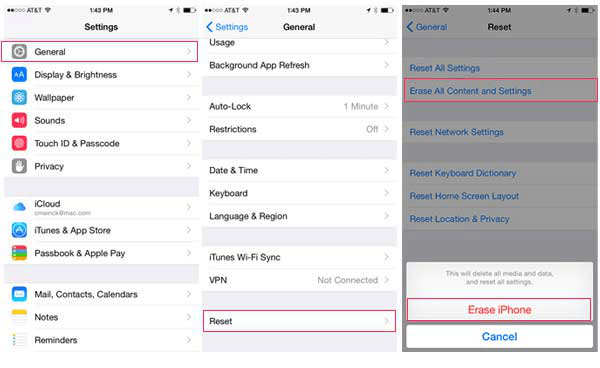 Erase All Data: It will do a full and complete reset on your iPhone. Everything will be 100% unrecoverable by any recovery tool or organizations, including FBI! 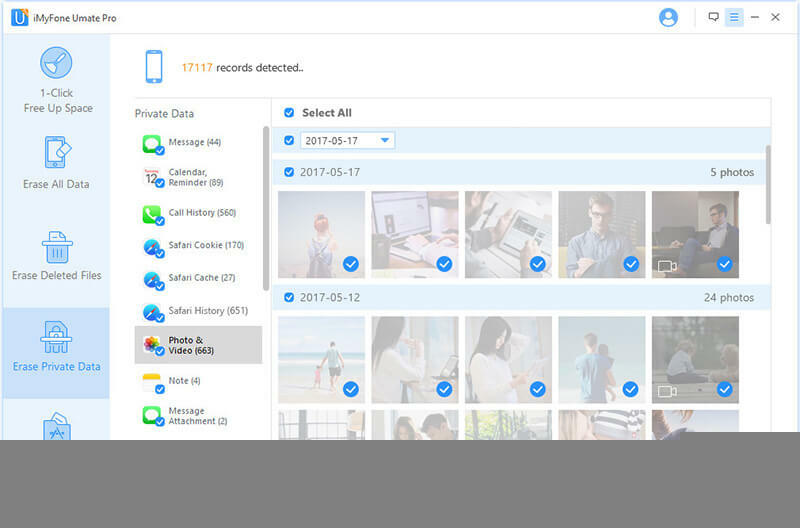 Erase Deleted Files: Your previously deleted files which are still recoverable will be found out and completely wiped with 0% recovery rate. Erase Private Data: This allows you to selectively reset iPhone, like to wipe private messages, notes, history, photos, videos, WhatsApp/WeChat/Kik/Viber data, call logs, etc. Erase Private Fragments: Any private traces left by third-party apps and will disclose your privacy will be scanned out and completely destroyed, which includes Snapchat, Facebook, Twitter, Instagram, Spotify, and 10+ more. Step 3. Preview and select private or previously deleted files and click on Erase Now. Then just confirm the erasure. After you’ve used this method to completely erase all of your personal data, you don’t have to worry about your data being recovered by any means – it’s impossible! Now that you know how to factory reset iPhone without computer and how to ensure that your personal data is beyond recovery, you can protect your privacy easily. Remember, aside from using iMyFone Umate Pro for this, you get access to so many other features too.